Here are some very merry tablet offerings for portable gaming. With CES 2014 around the corner, a new crop of cool gadgets and technology will emerge from Las Vegas. But for now, those seeking a tablet that can also double as a portable video game console are in luck. After Christmas price cuts have made it more affordable than ever to get powerful tablets without breaking your bank account. 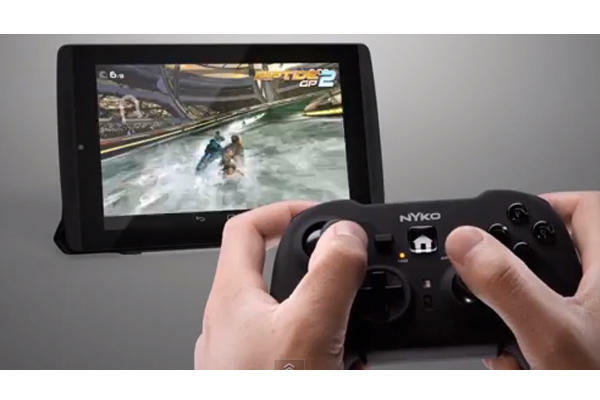 Here are five can’t-miss tablets that will play the latest interactive entertainment. When it comes to hi res graphics, this tablet delivers the best visuals for the price point (1,920 x 1,200 panel with a pixel density of 323 ppi) with improved color accuracy over previous iterations. 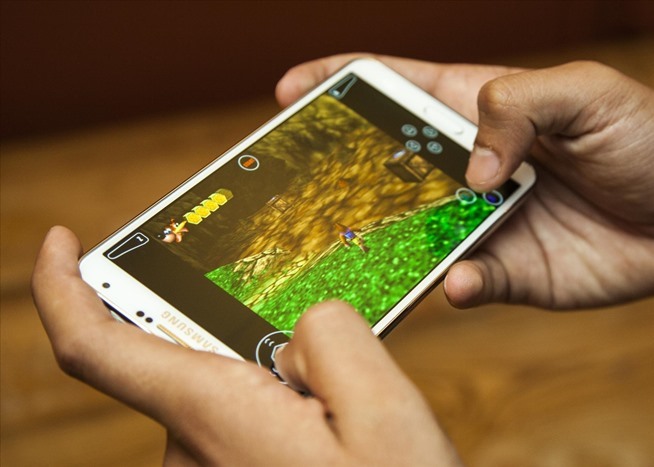 This tablet is slimmer and lighter than the Note, but that tablet is still the tops for gaming. The Nexus 7 showcases movies and other visuals with a better light. Google continues to improve its tablets, while offering an extremely low entry point for those who have yet to jump into the Android space. The NVIDIA Tegra Note 7” tablet is the best and most affordable gaming tablet on the market. Packing the power of the $250 NVIDIA Shield gaming device, this tablet also serves all the touch screen functionality of a multimedia tablet. But the reason to pick this tab up is because of the Tegra 4 chip’s gaming power, as well as the long list of specially-designed games made to utilize the Shield and the new Note tablets. The only flaw with this tablet is the screen resolution, which pales (1,280 x 800 and 217 pixels per inch) compared to the $230 Google Nexus 7 (1,920 x 1,200 panel with a pixel density of 323 ppi). 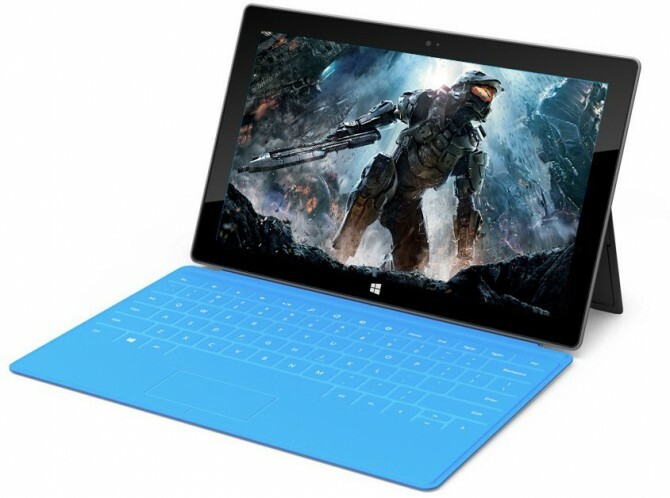 Microsoft has improved its Surface tablet since last year. 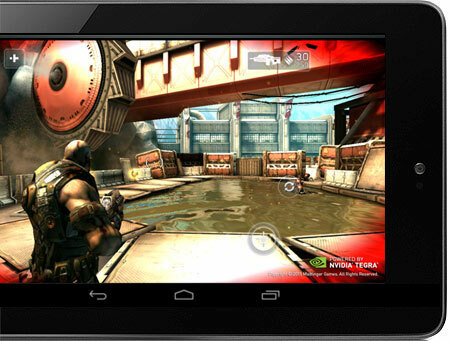 The new tablet features NVIDIA Tegra 4 technology to deliver amazing new and exclusive game experiences. 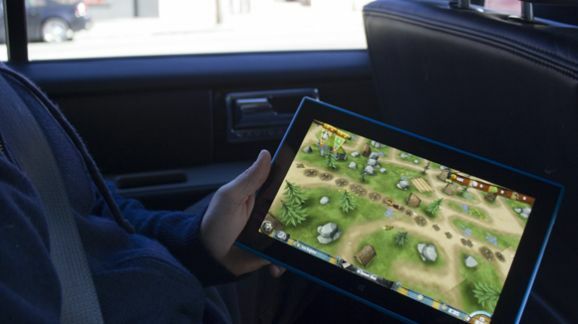 Gaming is also enhanced with Dolby Digital Plussound technology, which comes packed into every tablet. In addition to seamlessly connection to Xbox Live (and Xbox One and Xbox 360), there are also some cool exclusive games for this device like Halo Spartan Assault. For those Windows fans out there, this tablet also makes it easy to work with Office, Excel, PowerPoint and other Microsoft non-gaming apps. The only way to play the new Dreamworks Dragon Adventures virtual reality (and real world GPS) mobile game is on the Nokia Lumia 2520 tablet or Nokia Lumia 1520 phone. This 10.1-inch HD tablet runs on the new Qualcomm Snapdragon 800 processor, which has been designed for many things – including great games. One cool feature gamers will appreciate (in addition to the awesome display) is that an 80% battery charge takes just one hour. If you’re going to buy this Windows RTt tablet, it’s worth getting the Nokia Power Keyboard, which is a wraparound cover that adds an extra five extra hours of battery life to the 11 hours and functions as a keyboard and trackpad (perfect for some games). Samsung continues to give Apple and its iPhone and iPad line a run for the money. Just as Samsung improved its bestselling Galaxy S4 phone, so too has the Galaxy Note 3 received an upgrade to make it one of the best options on the market today. The price point drops heavily with a two-year service subscription from a carrier. This tablet features a larger display and an improved S Pen for taking notes and interacting with the vibrant screen. The 13 Megapixel camera takes amazing photos, which come to life on the new screen. Android gaming comes to life on this device in vivid virtual reality.